Several months ago, I posed a question to my Facebook friends about what martial arts topics they wanted me to cover. Slowly but surely, I’m making my way around to each of them. My friend and former colleague Jeff Tillett asked me my thoughts on staying inspired after black belt. This list is by no means definitive, but it is where I sit tonight. One way to stay inspired after reaching black belt in your art is to explore your own art deeper. My primary karate instructor, Mr. Hawkey, has instilled a quote in me that I think about often: “Kata is our library of movement.” Each kata, he would say, is a particular book. This form teaches the hips to move in this particular way, this other form stresses movements in that way, and so on. By really examining your forms, you begin to develop a deeper understanding of your art. I would like to discuss this topic in more depth in a future post. In short, I can say that I practiced kata at the most basic level up through black belt, and really for some time afterward. Only after five or six years did I really start to delve into what is possible. Sure, a form consists of blocks, punches and kicks. But what about joint locks? Throws? Sweeps? Chokes? How many different combinations can you put together using the same patterns of movement? Only when we look at our forms deeper do we begin to understand why they’re so important to an art. Another way to stay inspired is to cross-train. What I’m not advocating is abandoning your primary art. Instead, what I’m saying is to begin training in another art in order to see new possibilities in your primary art, incorporate your primary art into your new art, and develop your own way of thinking. This is what many, if not all, of the great masters did. For example, when my class schedule at school wouldn’t let me train in karate, I looked for a new art. I signed up for was tai chi chuan with a guy that my original karate instructor knew. But what I found was so much more rewarding. My tai chi chuan instructor also teaches Hsing-i chuan. Hsing-i chuan is a predecessor to Okinawan Shuri-ryu karate. Even better, a master credited with developing at least two of our karate forms shares a lineage with my tai chi chuan instructor. I happen to have stumbled upon what I consider to be a gold mine. Not only am I learning “completely different” martial arts, but I’m learning arts that have a common history with each other. Not everybody will wind up in that situation. If you do wind up studying arts you think don’t have much in common, study the patterns of movement. Study why they use certain techniques and see what common threads you can find between the two (or three, or whatever). 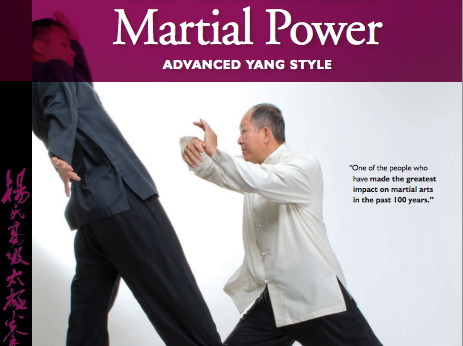 Martial artists should recognize and appreciate when their arts share common principles and ideas. I would urge martial artists who are struggling for inspiration, and even those who are gung-ho about their art, to find out what you don’t know when it comes to martial arts. These are my experiences. I offer them in the hopes you can find something similar. Always remember there are different paths up the same mountain. If you have other things that have kept you yearning for more in your martial arts training, please let me know by leaving a comment. Variety, variety, variety! I think you tackled that very well in your major ideas: examine your kata in new, unique ways and train in different styles. Last weekend, I practiced all of the katas and wazas I know. I didn’t miss a beat. It’s a good feeling to know what muscle memory can accomplish. Of course, teaching for nearly a decade 4 or more times a week will do that, but it also risks burning you out. I think you have a great, appropriate schedule for a lifetime in the martial arts. There will be a day when I teach publicly again. You know what I do publicly now. Turbo provides me with the opportunity to learn new combinations every two months. The best analogy: it’s like a new kata every couple months, and I have dozens of new combos and ideas (not to mention the constant fitness factor). There are other things I’d like to say, but for now, in response to this post, I’ll simply reiterate: variety, variety, variety! !